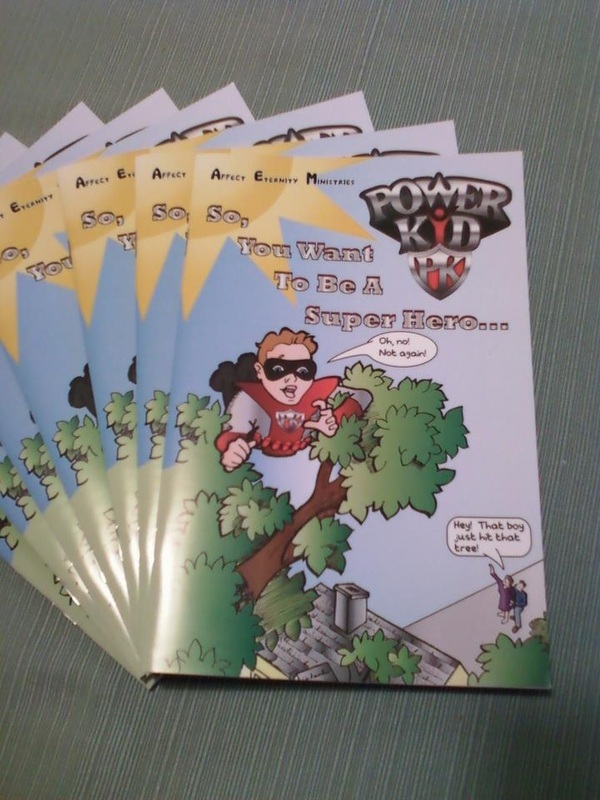 This is a fun story of the adventures of Power Kyd Peter and his discovery of the Greatest Power ever! Comic books are 20 pages and include two puzzle pages. Created and written by Michael Parker and illustrated by Shannon Wirrenga. Cost is $3.00 each (plus shipping). Contact us for special pricing on bundles for churches.